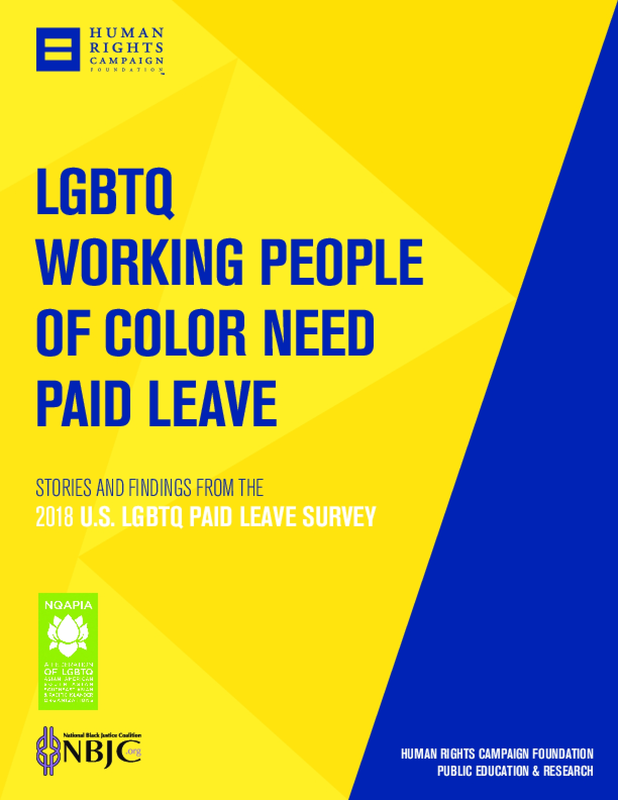 This report explores data collected for the Human Rights Campaign's 2018 U.S. LGBTQ Paid Family Leave Survey to highlight the need for inclusive employer-paid family and medical leave for LGBTQ working people of color. Copyright 2018 by National Queer Asian Pacific Islander Alliance. All rights reserved.